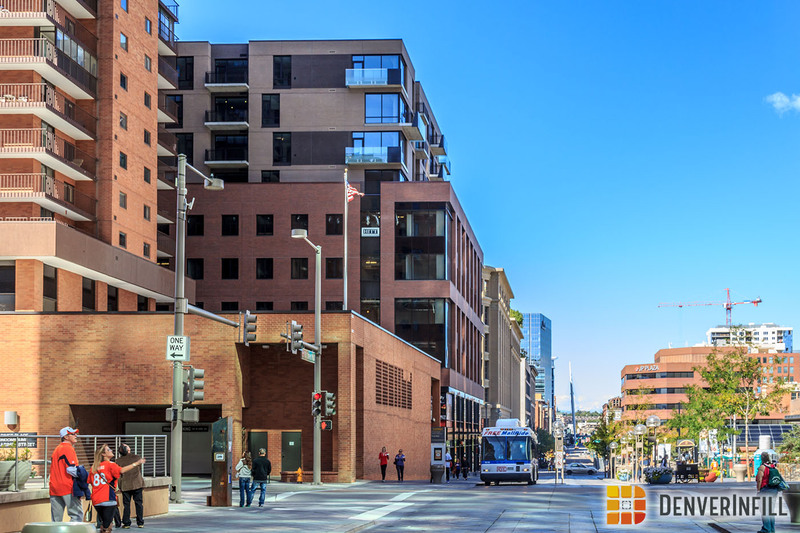 Since the announcement of 16M back in April 2012, everyone rejoiced that the old Office Depot building at 1350 16th Street was going to be demolished and something much better was going to stand in its place. 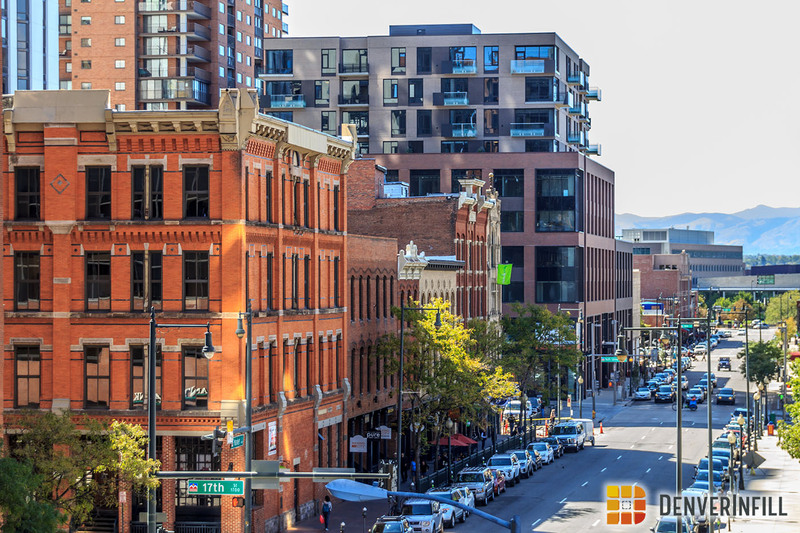 Now that the fences are down, and 16M has been mixed into Downtown Denver’s urban fabric, the intersection of the 16th Street Mall and Market Street has a new breath of life. Before we get to the pictures, make sure you visit our previous updates of 16M. Time to take a look at the completed building. 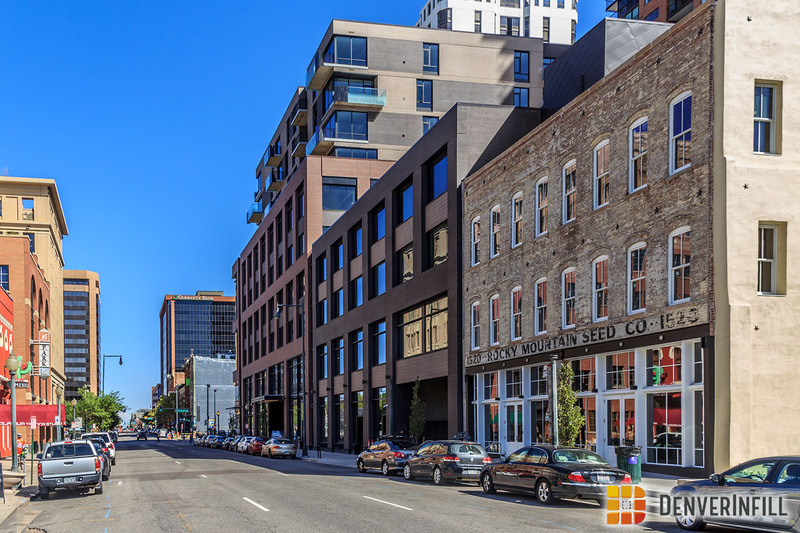 Designed by Gensler, 16M rises a total of 10 stories and provides the Lower Downtown District with 115,000 square feet of office space, 13,000 square feet of retail, and 47 residential apartment units. 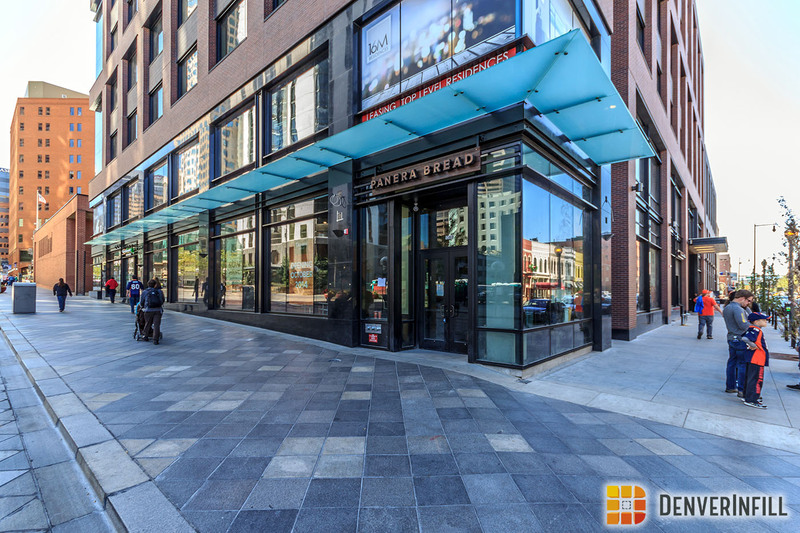 Here are two views of the building looking down the 16th Street Mall towards Union Station. 16M shares a similar design with its neighbor down the block, SugarCube. 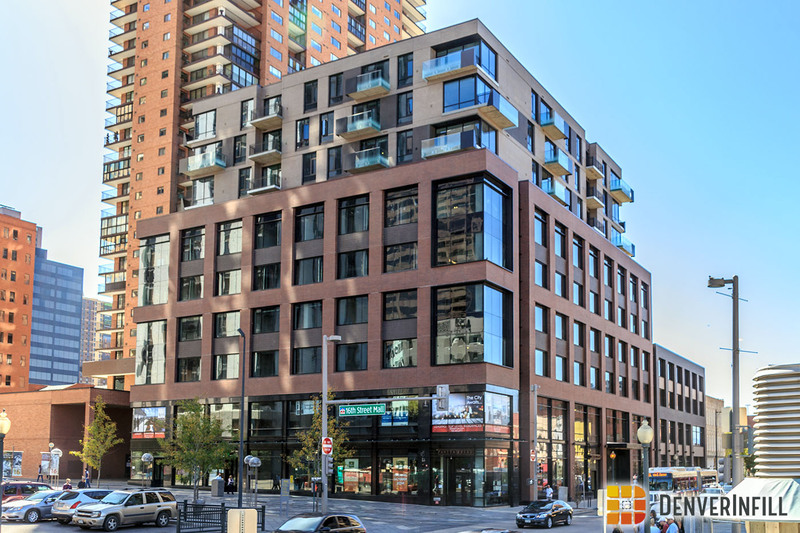 The first six floors are dedicated to retail and office space and floors seven through ten, set back from the office portion, are dedicated to the residential units. The street level, where the pedestrians interact with the city, is the most important part of any project. 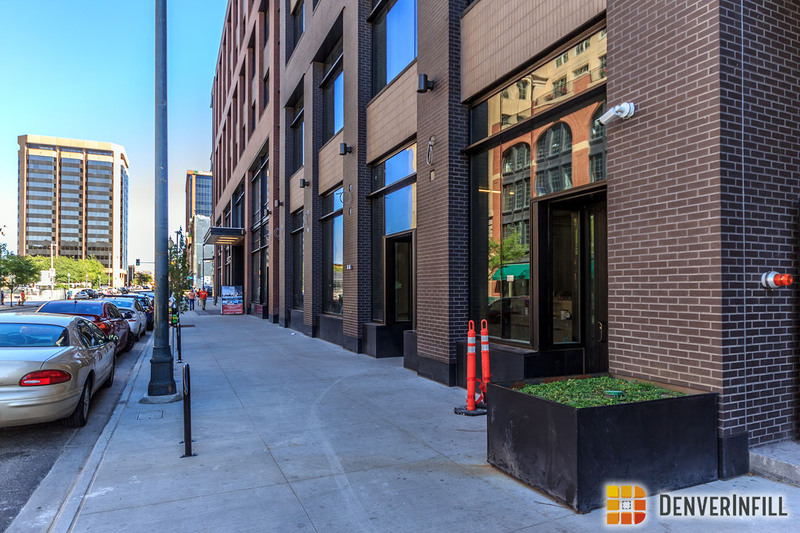 16M hit it out of the park, with a tucked away garage ramp, attractive office entrance, and ample ground‑floor retail. If you ask for my opinion about the ground‑floor treatment, I would say this is infinitely better than walking along the blank wall of an Office Depot with a single entrance on the 16th Street Mall! The presence, look, and feel of 16M is outstanding. 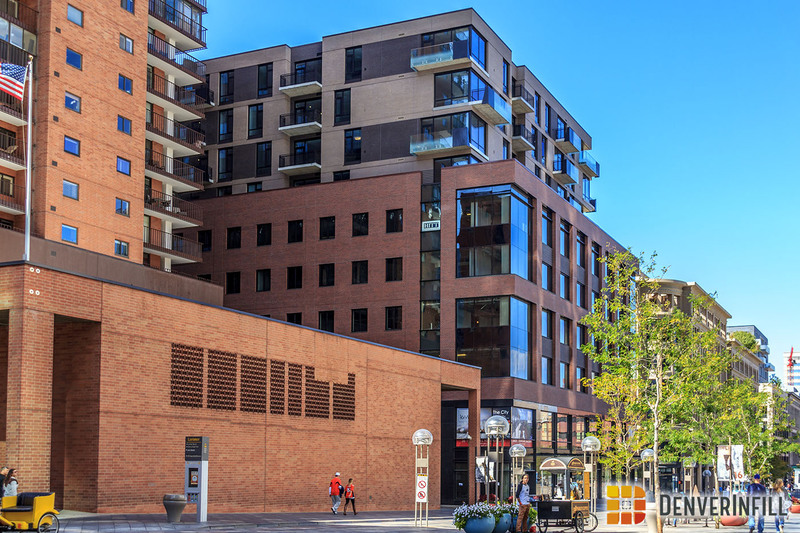 It’s a very attractive building with brick and glass throughout the entire facade and it has the most important feature every urban building should have: an amazing street presence. Welcome to Lower Downtown, 16M! We are glad to have you!